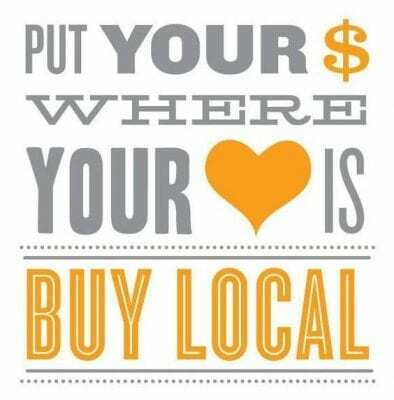 Are you a Shop Local Supporter or a Big Box Store Shopper? – Statewide Towing Association Inc.
With the Holidays upon us, we see more and more initiatives to encourage people to shop local. How many of you actually support your local businesses and eschew the big box stores and online giants? Do your keep your spending local? Are you an advocate for shopping locally? If so then do you support your local towing company OR do you shop the “big box store” and belong to a motor club or use an app? At first glance, it looks like your motor club membership or that cool new app is supporting the local tow company but that is not the case. If you are a motor club member or an app user, do you realize you are subscribing to a severely discounted service model? Just like the big box stores do with their suppliers and subcontractors, motor clubs and app companies pay rates significantly less than retail to their suppliers, the local towing companies. The majority of markups and profits go to a large regional, national or international corporations rather than keeping the funds in the local community economy and supporting small business. Further in some areas, motor clubs have corporate fleets providing service. Where do you think those profits go? So the next time you receive a renewal or sign up notice from a motor club or an ad for a towing app, instead of purchasing a membership or downloading the app, buy local and call a community based, family owned, small business towing company. Or when you are travelling this holiday season and need assistance, support small business and go to NeedATow.org to find a tow company near you. NeedATow.org is a not-for-profit directory of local, community based towing companies. You pay the towing company directly; there are no hidden fees or markups. The dollars you spend stay local. NeedATow.org is owned by Statewide Towing Association, Inc. of Massachusetts (STA), a 501(c)6 organization. Founded in 1970, STA advocates for the towing industry.